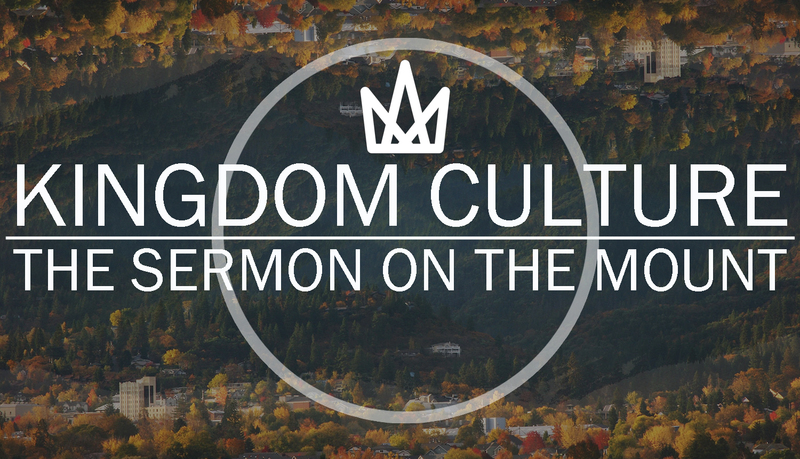 Today we are concluding our sermon series called Kingdom Culture that walked through the Sermon on the Mount, the teachings of Jesus found in the book of Matthew in the Bible, chapters 5, 6, and 7. Today our teaching comes from Matthew 7:24-29 and Mark 11:1-11. In 2008, Angelia and I had just gotten married that May but there was a storm brewing. It wasn’t a storm in our young marriage thank goodness but it was a storm in my home town of Cedar Rapids, IA. (picture) Cedar Rapids is built along the Cedar River with the downtown area being central to its passing through. Early on, the city buildings were constructed on islands in the middle of the river and became a central point of the city. (picture) As a child, I remember going downtown for their 4th of July festival and the river was so low at times that people would be walking across it. However, there were also times where the river was so full that it was threatening to come over its banks. The city had put up flood protection with walls and levies and a dam that were designed to prevent water from causing any destruction of the town hall, police station, the Quaker Oats plant, and many other businesses and offices including the National Czech and Slovak Museum with irreplaceable artifacts. I quickly began making calls and put together a team from our church to go up and begin helping with the clean-up. It is a strange feeling to be going through homes and you are hauling out dressers that are full of clothes, bookshelves with family picture albums, and kitchens with food still out from the last meal. There were many hurting people left from this tragedy because somewhere along the way, someone forgot about the immense force of nature and the warnings of the damage water could cause. Builders, real estate agents, city planners all saw the development and growth of the city and disregarded the threat of crumbling foundations when the eventual threat of destruction would come. Jesus concludes his Sermon on the Mount contrasting the building of a house on different substances. 28 When Jesus had finished saying these things, the crowds were amazed at his teaching, 29 for he taught with real authority—quite unlike their teachers of religious law. The climate in Palestine is like that of southern California in many ways. The riverbeds are dry for most of the year but when the winter and spring rains come, the floods follow. The Palestinian homes are mostly built of stone or sun-dried brick so they would be structurally identical. The difference that Jesus is pointing us to is the difference of the foundation in which the home is built on. Are they built in the accessible and generally flat land of the riverbed or is it built in the area that is costlier, not as accessible, but on solid bedrock? In my home town, were the structures built in areas of convenience or in areas of shelter? This is another “two-way” teaching by Jesus, presenting us with a choice to make. We are being presented with a choice of our ultimate foundation – where are we going to root in our lives. The reality is that until the storms come, it would be really hard to know on the outside where our foundation is. 20 For I tell you that unless your righteousness surpasses that of the Pharisees and the teachers of the law, you will certainly not enter the kingdom of heaven. Today is Palm Sunday in the Christian year, which begins Holy Week where we commemorate the arrival of Jesus in Jerusalem and his journey to the cross. Who is Jesus going to put to the test in the ultimate trial. One of the places his entrance to Jerusalem is recorded is in Mark 11:1-11. 11:1 When they were approaching Jerusalem, at Bethphage and Bethany, near the Mount of Olives, he sent two of his disciples. 2 and said to them, “Go into the village ahead of you, and immediately as you enter it, you will find tied there a colt that has never been ridden; untie it and bring it. 3 If anyone says to you, ‘Why are you doing this?’ just say this, ‘The Lord needs it and will send it back here immediately. '” 4 They went away and found a colt tied near a door, outside in the street. As they were untying it, 5 some of the bystanders said to them, “What are you doing, untying the colt?” 6 They told them what Jesus had said; and they allowed them to take it. 7 Then they brought the colt to Jesus and threw their cloaks on it; and he sat on it. 8 Many people spread their cloaks on the road, and others spread leafy branches that they had cut in the fields. 9 Then those who went ahead and those who followed were shouting, “Hosanna! Blessed is the one who comes in the name of the Lord! 10 Blessed is the coming kingdom of our ancestor David! Hosanna in the highest heaven!” 11 Then he entered Jerusalem and went into the temple; and when he had looked around at everything, as it was already late, he went out to Bethany with the twelve. Our initial thought could be, “wow what that would be like to parade into a city to great fanfare – much like after you win a Super Bowl or the World Series.” It says the crowds put their coats on the ground and waved branches at him. The Jews did this for King Jehu once (2 Kings 9), a gesture of his royal status and of their allegiance to him as their king. I’ve heard, as well, that removing your coat in that moment is a sign that you consider that person capable when it comes to your well-being. Having a coat in the desert could be life or death. It kept you warm at night, dry from the rain, and protected against sunlight and dust. To take it off for someone was a gesture that you trust them. It also says they shouted “Hosanna” and “blessed is he who comes in the name of the lord.” “Hosanna” means “please, save us”, perhaps a phrase worn out of any real meaning after so many years of crying out to God. Likewise, by the first century the phrase “blessed is he who comes in the name of the Lord” had become a benign greeting priests would say in reference to people coming to worship. But when Jesus rides into Jerusalem, these words become charged with meaning, as he is the Christ/Messiah who comes to save them and he is the one, like David, blessed of God to rule over his people (2 Samuel 7:14). The response of the crowd becomes ironic, though, given what Jesus does (or, rather, does not do) in the temple. In the first century Roman world it was customary for a king or ruler to enter the city he had just conquered, go to the temple, and make a sacrifice to his god, symbolizing their victory over the other god. Jesus arrives to the temple, scatters those buying and selling, and then leaves without really doing anything. The crowds response to him is still appropriate, but more so when enters Jerusalem the second time. Jesus doesn’t ride into Jerusalem the way we want him to. He rides in not as a king of this world but the King of the Kingdom of God. William Stringfellow says, “Palm Sunday is a day of dramatic temptation for Christ. It is a day of profound frustration for the disciples and one on which the apprehensions about Christ on the part of the ruling authorities of Israel and Rome are exposed.” It’s a temptation for Christ to be the Messiah they expect him to be. It’s frustrating for the disciples and the crowds because he’s not who they expected him to be. Jesus continues his two-way teaching by the way he enters Jerusalem. He enters twice, first with people celebrating and asking him to save them. However, he enters a second time in chains after he is arrested in the Garden of Gethsemane. The Sermon on the Mount is shaking the foundations of society, declaring a new way of living, a new culture that is counter to the current time. Jesus is setting forth the way to live as the Kingdom of God. Culture exists in every corner of the earth. There are habits, practices, expectations, language, views, dress, essentially every part of life form a culture. There is culture of a country, a part of a country, an ethic group, a city, a family unit. And when cultures meet, there can be tensions. The real question for anyone who would be a follower of Jesus is whether or not we’ll lay coats, wave branches, and shout “Hosanna” to the accused criminal being escorted into the city under guard to face his accusers. Claiming Christ is serious because we then have the responsibility of ensuring that what we know and what we say is translated into what we do. The Sermon on the Mount ends on the same note of radical choice of which we have been aware throughout. The teaching of Christ was laying a new foundation to the entire culture. It was shaking the society to the core. Jesus is being hailed as the Messiah, He is performing miracles, and lives are being transformed. But the establishment does not know what to do with him and Jesus is disrupting their influence. How can we build our foundation on the bedrock of Christ? How can we welcome our King when He comes as an outcast? As Jesus is concluding the Sermon on the Mount, he is pointing us back to the overarching message he is teaching us and uses the analogy of where to build our foundation. …is really the heart of the entire sermon. Are we going to build our foundation on things that are temporal, shifting, self-focused, external, and academic? What Jesus is stressing in not works righteousness because salvation is by grace through faith, but what he is stressing is that those who truly hear the gospel and profess faith will always obey him, expressing their faith in their works. 6 So we are lying if we say we have fellowship with God but go on living in spiritual darkness; we are not practicing the truth. 4 If someone claims, “I know God,” but doesn’t obey God’s commandments, that person is a liar and is not living in the truth. 22 But don’t just listen to God’s word. You must do what it says. Otherwise, you are only fooling yourselves. 23 For if you listen to the word and don’t obey, it is like glancing at your face in a mirror. 24 You see yourself, walk away, and forget what you look like. 25 But if you look carefully into the perfect law that sets you free, and if you do what it says and don’t forget what you heard, then God will bless you for doing it. 14 What good is it, dear brothers and sisters, if you say you have faith but don’t show it by your actions? Can that kind of faith save anyone? 15 Suppose you see a brother or sister who has no food or clothing, 16 and you say, “Good- bye and have a good day; stay warm and eat well”—but then you don’t give that person any food or clothing. What good does that do? 17 So you see, faith by itself isn’t enough. Unless it produces good deeds, it is dead and useless. 18 Now someone may argue, “Some people have faith; others have good deeds.” But I say, “How can you show me your faith if you don’t have good deeds? I will show you my faith by my good deeds.” 19 You say you have faith, for you believe that there is one God. [a] Good for you! Even the demons believe this, and they tremble in terror. 20 How foolish! Can’t you see that faith without good deeds is useless? This is about embodying the Gospel of Christ through the values that define the culture of the Kingdom of God. The Sermon on the Mount is a picture of God’s alternative society. There are standards, values, and priorities of the Kingdom of God – its own unique culture. Too often the church has turned away from this challenge and sunk into a conformist respectability. At such times, it is almost indistinguishable from the world, it has lost its saltiness, its light is extinguished, and it repels all dreamers. Only when the Christian community lives by Christ’s manifesto will the world be attracted to God and be glorified. So, when Jesus calls us to himself, it is to this that he calls us. For he is the Lord of the counter-culture, he is the Lord of Kingdom Culture. Eph. 3:17-19 – (May) Christ dwell in your hearts through faith—that you, being rooted and grounded in love, may have strength to comprehend with all the saints what is the breadth and length and height and depth, and to know the love of Christ that surpasses knowledge, that you may be filled with all the fullness of God.